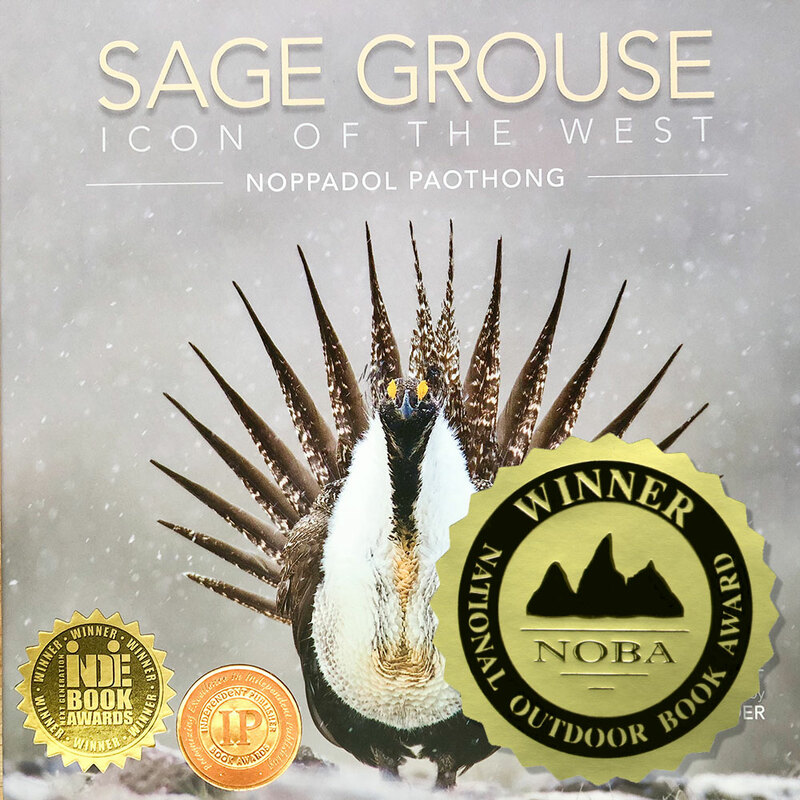 I am honored to learn that my book, “Sage Grouse, Icon of the West,” has won the 2018 the National Outdoor Book Awards, one of the world’s largest and most prestigious book awards for outdoor writing and publishing. Even after photographing grouse for so many years, there is still nothing like watching these birds dance and being at their presence. I think they are the most mesmerizing and noble birds. We have so much to learn from the sage-grouse and the land they depend on, and it is our responsibility to have a deeper conversation on how to protect this heritage for us and our future generations. So, having this book recognized and receiving a remarkable comment from the national book competition mean a lot to me. Nothing beats being in the field watching the sensational mating dance of the sage-grouse. There is, however, a close second, and that is paging through Noppadol Paothong’s stunning photography of the bird. Paothong’s artistry as a photographer and his passion as a naturalist is clearly evident in this large format book. In nearly every photo he has managed to obtain the perfect marriage of subject, angle, light and background. Moreover, the accompanying written material, with finely tuned captions and insightful text written by Kathy Love, raises the high bar established by Paothong’s splendid photography. This is truly a superb work of art and prose, and a testament to this enduring icon of the west.